Once you start treating a company blog like a PR vehicle (posting twice a month, filling it with self-congratulatory press release material, and saving time by ignoring the SEO tools) it quickly becomes ineffective as a marketing tool. Corporate blogging makes no sense — from the viewpoint of traditional corporate public relations. In fact, if you look at blogging through a traditional PR lens, it’s absolutely counter intuitive. I raise this point because I frequently talk with public relations professionals who are getting ready to scuttle or let die a corporate blogging program that was established by a previous communications executive or outside consulting firm. To many traditional PR folks, devoting resources to blogging makes absolutely no sense and they can’t imagine why the company started doing it in the first place. They point out that there are much better ways to get out your story to the media and investors — such as the traditional press release or media placement, Twitter, or the company’s Facebook page. And they are completely right. However, they are also missing a key point. Corporate blogging is not good PR. It’s good marketing. Odd as it may seem from the PR viewpoint, business blogs are only secondarily about telling the story. They are primarily tools for helping potential customers locate a company online. 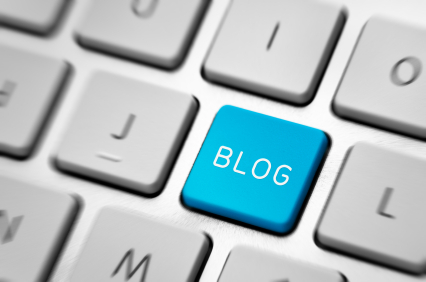 Done right, over time, a corporate blog can be as effective at attracting website visitors as paid online advertising. A skillfully done corporate blog lets potential customers know that a company can provide the products and service they’re searching for. • Frequency. Unlike press releases, which go out when there’s news about the company, blog posts need to go out on a regular basis. Google’s search ranking algorithms continue to reward fresh content. Blogging frequently (a least twice a week) is a great way to get links to a website to appear near the top of search results. • Timeliness. The best way to get a blog post — with its links to a your website — high in the search results is to post about a breaking news story that’s related to your products or services. This does not mean issuing a full corporate analysis, vetted by experts and attorneys, a week after the news event occurs and people have stopped talking about it. It means issuing a simple, innocuous blog post (without any need to insert a corporate spin or go through legal review) within 24 hours of the event occurring. A great example (for our friends at Thompson Metalworks) would be a blog post about music fans baking a 6-foot-wide cake and delivering it to a pop star’s hotel. Or a quick mention of a Wall Street Journal article about an industry trend, such grocery stores expanding their bakery sections. • Use of sophisticated SEO tools. Notice how in the PR world, online press release services have begun including SEO tools in their packaged services? They learned this from marketing. Effective corporate blogs make use of SEO keywording tools (such as excerpts, titles, edited permalinks, tags, and image names) and social media tools (such as links to and from partner sites, and publishing to Twitter and Facebook). This is why crafting a blog post involves more than simply writing and copy editing it. Learning these tools, and using them correctly, takes time. • Basic common sense. Only a small percentage of the visitors attracted to a corporate website by a blog post actually read the blog post itself. Many click quickly through to a product page. Of course, the post still needs to be well written and informative. But, unlike news releases, the ideal blog post is as much about the reader’s interests as it is about the company writing it. Again using our friends at Thompson Metalworks as an example: A post could cover the benefits of registering products, provide information about a sale on a discontinued product line, walk readers through a how-to for upgrading a company product, or simply point out some interesting bit of industry news (such as the Wall Street Journal article mentioned above). The irony of PR’s disconnect with corporate blogging is that once the corporate communications department starts treating a company’s blog like a PR vehicle (posting twice a month, filling it with self-congratulatory press release material, and saving time by ignoring or misusing the SEO tools) the blog quickly becomes ineffective not just for PR but for marketing as well. At that point, of course, devoting company resources to it…makes absolutely no sense.